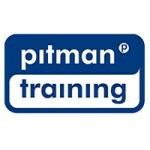 Pitman Trainings Accounting Technician Diploma with AAT Qualification is aimed at anyone wanting to develop their bookkeeping and accounting skills for a role in finance. This Diploma course provides valuable skills for bookkeepers, small business owners, accountants, payroll and finance administrators, and Treasurers. With the AAT Certificate in Accounting qualification that you gain upon passing the course, you will have proved your level of knowledge and that can be invaluable in business. Youll give yourself the opportunity to become a valued assistant at larger firms, or maybe even provide your own accountancy service to local businesses the opportunities are there for the taking.